Linyanti is situated north of Savuti in a corner of the Chobe National Park. The Linyanti Swamp is one of the most attractive areas in the park. 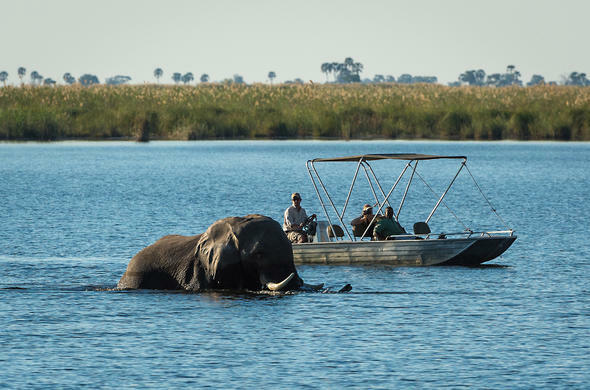 It boasts a great diversity of game and a restful atmosphere.The north-western corner of Chobe meets the Linyanti River - this is a fragment of almost 900 square kilometres of the secluded Linyanti Swamp. This area is further expanded by the Selinda Reserve in the west and Namibia's remote Mamili National Park on the northern bank of the Kwando River. The area's relative remoteness makes it a favoured safari destination. The Kwando and Linyanti Rivers are located mid-way between the town of Kasane and the Okavango Delta in Northern Botswana. The river changes course dramatically because of 'river capture' caused by faulting. The Linyanti River follows a line representing the extreme south western extension of East Africa's Great Rift Valley.The Linyanti River is in a way similar to the Okavango Delta with its papyrus-lined waterways, extensive reed banks and towering riverine forest. The river forms a swamp area, reminiscent of the one found in the Okavango, although it is not more than 900 square kilometres in extent, as opposed to the much larger Okavango Delta. Wildlife viewing in the Linyati region is excellent. It boasts large concentrations of elephant, lion, sable, roan, hippos, and wild dog, building to a peak in the dry winter months. 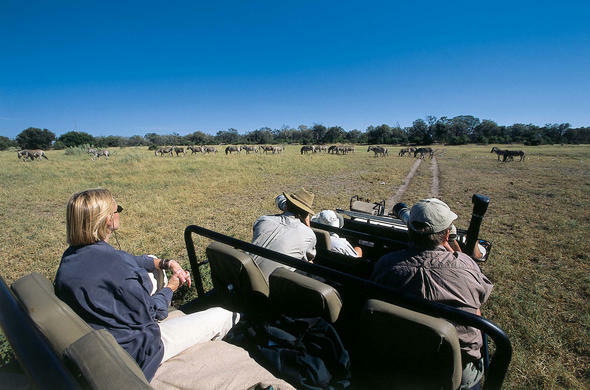 The area also offers spectacular birding year round and is best known for its enormous herds of Elephant which move down to the Linyanti River at the start of the winter months and only move back inland once the main rains arrive.Sable and Roan Antelope occur, as well as Lion, Leopard and Wild Dog. The marshes are home to Red Lechwe, Sitatunga, Hippo, Crocodiles and wonderful bird life. And moving along the waterways, we can see Kudu, Zebra, Buffalo, Waterbuck and Impala. Habitats of the Linyati region consist of riverine woodlands along the Kwando and Linyanti Rivers, rivers and surrounding lagoons and waterways, open grasslands bordering onto the rivers and the Savuti Channel, and the dryer woodlands inland from the waterways.The Linyanti region consists mainly of riparian forests close to the rivers while the rest of the region is characterized by wide-open flood plains, dotted with wild date and ilala palm islands. Linyati offers a variety of activities. They include game drives in open 4x4 vehicles, night drives and game and bird walks, canoeing in stable 'Canadian' canoes on the large lagoons and boating on the smaller waterways. Access to this area is often restricted and is always difficult to get to by vehicle. Only 4x4 vehicles are able to negotiate the thick sand and rough roads. Most visitors travel into this area by light aircraft into the remote airfields.Drivers need to be aware that private 'concessions' or private reserves that have been leased out to private companies by the authorities dominate this area. 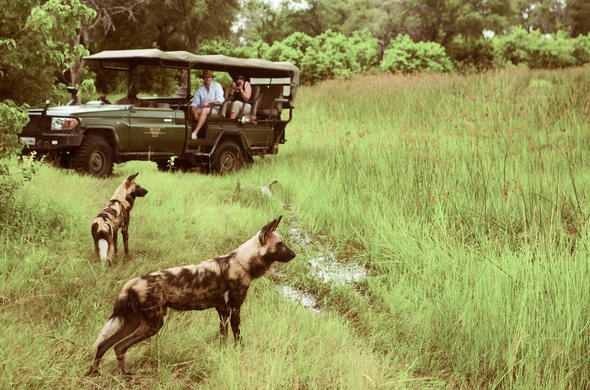 Access to these private reserves is restricted to guests staying at the various lodges or camps. These camps and lodges must be pre-booked. North of Savuti, in the Chobe National Park, Botswana.